have ratified CWG collective bargaining agreements since our launch in early 2018. Want to add the campaign you work for to this list? That was a rhetorical question - we know you do. Please note that negotiating collective bargaining agreements with campaigns or candidates does not equal the CWG's endorsement. 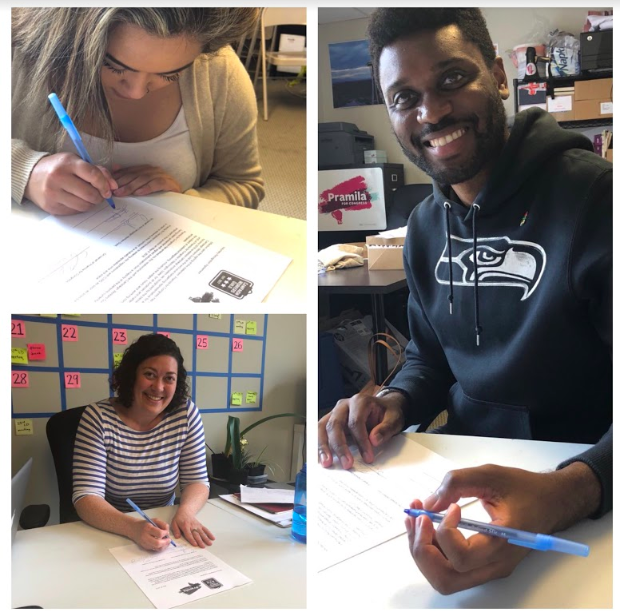 Campaign staff for Daraka Larimore-Hall ratified a collective bargaining agreement in April 2019. The staff of Representative Teresa Alonso Leon successfully bargained the first CWG contract in Oregon. The contract sets industry standards for the campaign through April 2020, including caps on the number of hours workers can be required to work each week, health insurance stipends, and raises for all workers. Workers for Break the Majority, the statewide coordinated campaign of the North Carolina Democratic Party, ratified a contract in late October 2018. Campaign workers for the coordinated campaign of the Minnesota Democratic-Farmer-Labor Party ratified a collective bargaining agreement that includes across-the-board raises, just cause protections, a limit on hours, and in a historic win, overtime pay for workers in an industry long associated with eighty hour workweeks and little pay. Workers at Aim Higher Now, a project of North Carolina Citizens for Protecting Our Schools, ratified a contract in October 2018. Campaign workers working on the Ohio Democratic Party’s coordinated campaign, the Campaign for Ohio, ratified their first collective bargaining agreement two months after recognition of the union, following 11 bargaining sessions. 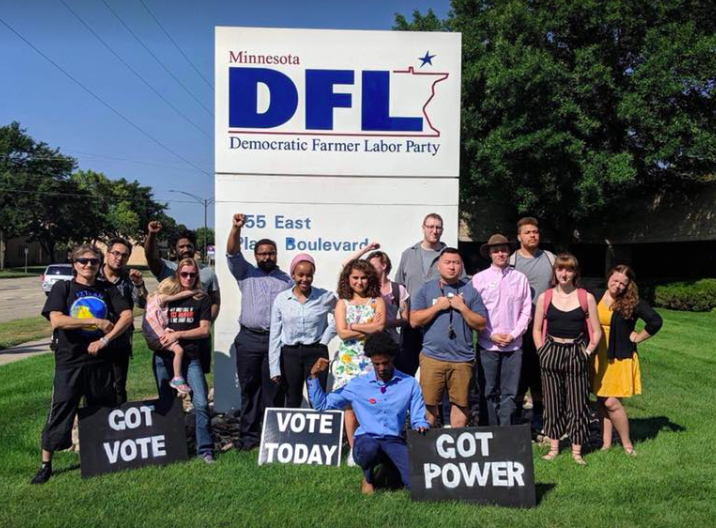 The unit of statewide field staff includes around 100 field organizers, regional field directors, and digital organizers working to elect Democrats up and down the ballot. Workers on Cynthia for New York became the first gubernatorial staff in the state to unionize with CWG. The contract sets a salary floor of $4,250 per month for full-time workers. Campaign workers for Julia Salazar, a candidate running for New York State Senate District 18, ratified a contract in August 2018. 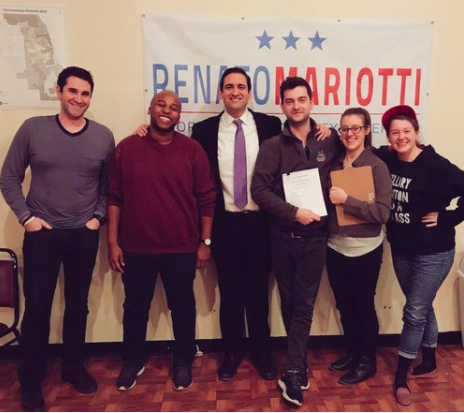 Workers for Ross Barkan, a candidate running for district 22 of the NY State Senate, ratified a contract in August 2018 that includes, among many things, paid sick leave, paid time off, and fully paid health, vision, and dental insurance premiums. 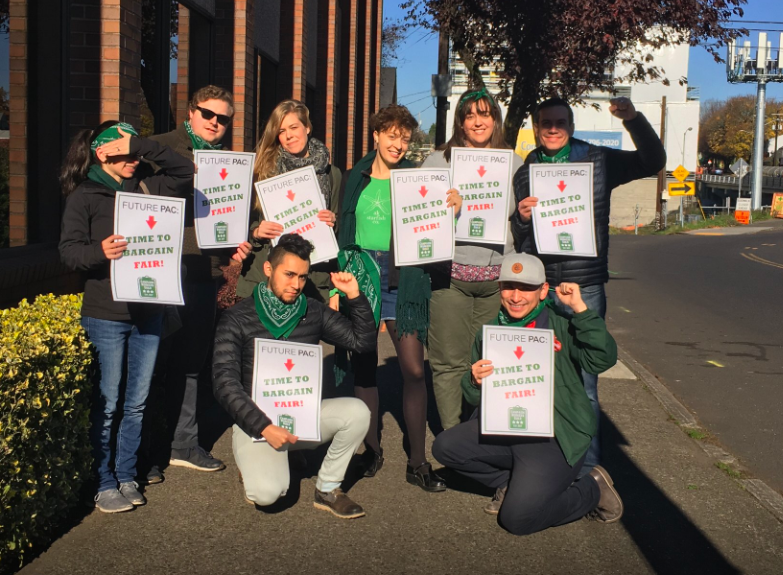 Campaign workers for Congresswoman Pramila Jayapal (WA-07) marked the first time in history that the campaign staff for an incumbent congressperson has unionized. Campaign workers for Max Rose, a candidate running for Congress in New York's 11th District, ratified their contract in June 2018. A contract for the campaign workers of David Richardson for Congress, a candidate running in Florida, was signed in June 2018. Omar Fateh is running for Minnesota State House in District 62A. His workers are both the first campaign for state legislature in the nation to unionize and the first all-student unit to unionize with the Campaign Workers Guild. All of the workers are undergraduate students at the University of Minnesota, Twin Cities campus. 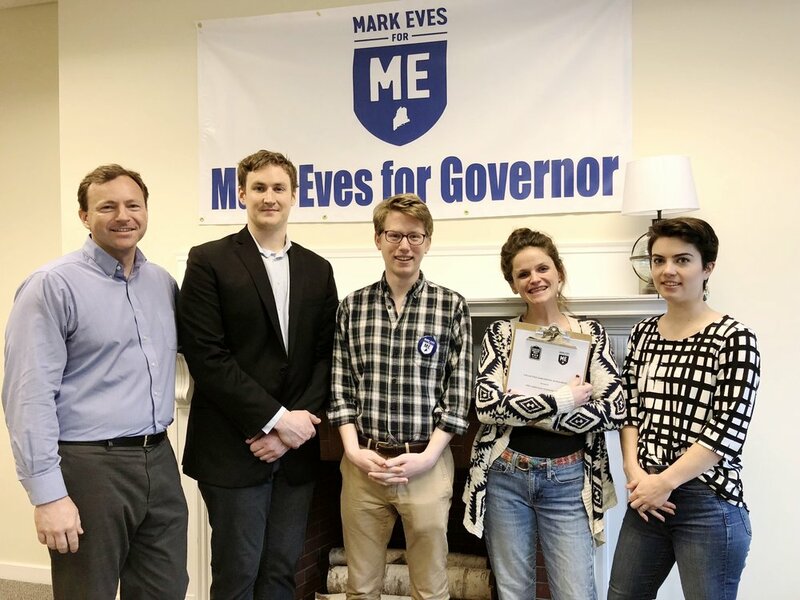 On May Day, staffers for Christine for Vermont announced the ratification of a contract that included a living wage, healthcare benefits, and paid family leave, a first for a Vermont gubernatorial campaign. 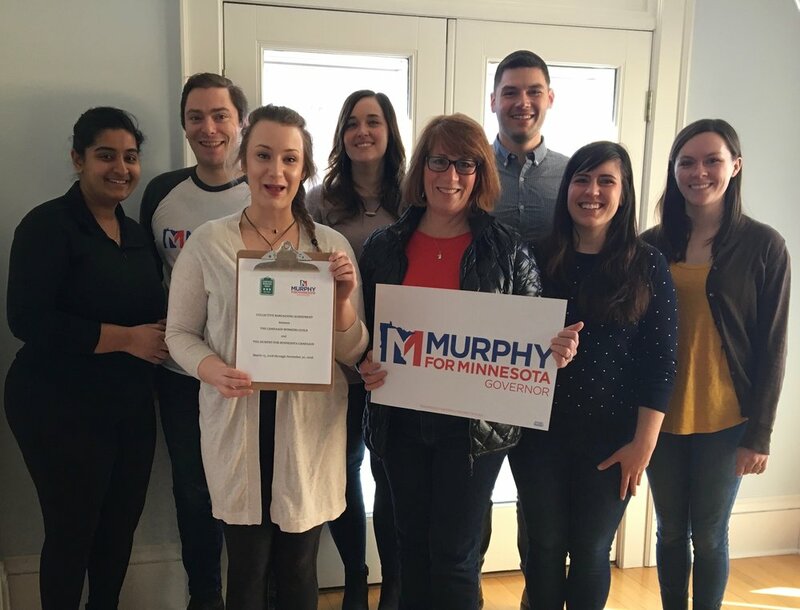 Workers for Molly Sheehan, a congressional candidate for PA-05, ratified a collective bargaining agreement in May 2018. 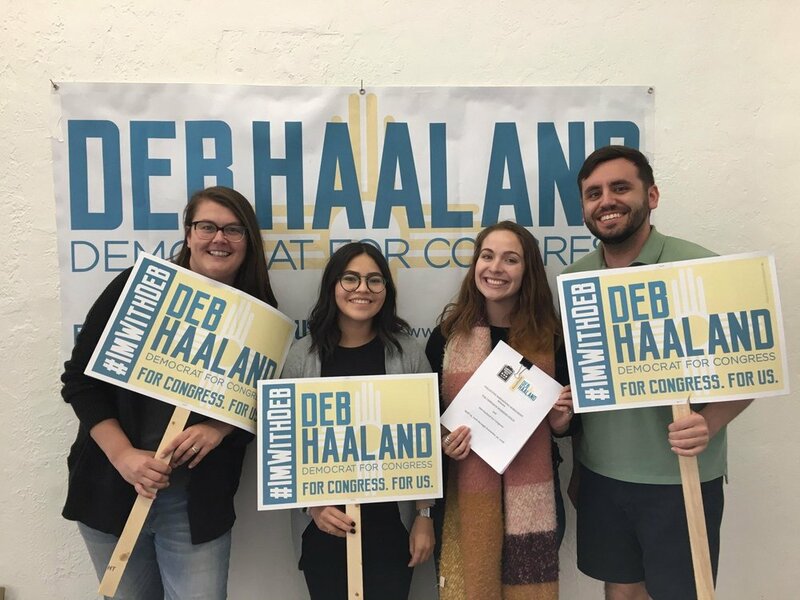 Campaign workers for Deb Haaland, Democratic candidate for NM-01, negotiated a groundbreaking union contract for a New Mexico campaign that includes a 50% wage increase for field organizers, health insurance coverage including vision and dental, and protection from sexual harassment and discrimination. 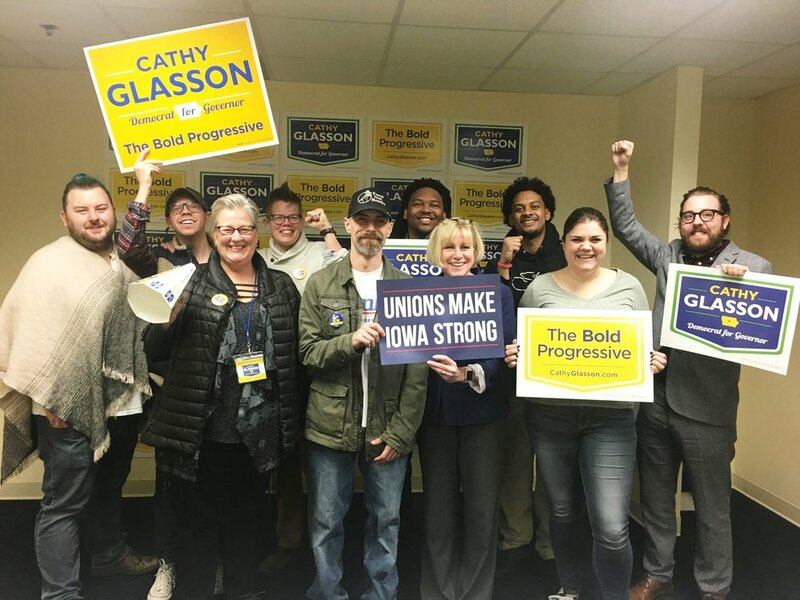 "Our message has always been that we need to make it easier for workers to join in a union or employee association no matter where you work, and today our bold progressive campaign is leading by example,” said Corey Jones, field organizer for Cathy Glasson for Iowa. “I'm proud to work on the most progressive campaign in Minnesota's 3rd. I think it's important to be a part of a movement to bring higher labor standards to campaigns nationwide,“ said Walker Reiss, Field Organizer for Adam Jennings, candidate for congress (MN-03). Workers at Middle Seat Consulting, a digital agency that specializes in fundraising, advertising, and media for progressives, won voluntary recognition and are set to sit down at the bargaining table to negotiate a collective bargaining agreement. “The protections of a union make campaign work much more of a sustainable career. Collective bargaining and labor solidarity have allowed our team to live the values we’re fighting for in this race; a living wage, health insurance, and paid leave policies” said Charles Cox, Field & Political Organizer for Murphy, a gubernatorial candidate. “Instead of letting the tough conditions and pay disparities of campaign work divide us, my coworkers and I are coming together to assert our power and make improvements. My sense of solidarity with my coworkers, and campaign workers everywhere, has grown so much as a result of taking action together” said Eric Holmberg, Field Organizer for Marie Newman for Congress, a candidate running in IL-03. “Our campaign made the unanimous decision to unionize because we wanted to be a part of this important moment in history and stand in solidarity with the Campaign Workers Guild’s movement to protect the rights of campaign workers and movement builders nationwide,” said Mary Difino, Deputy Field Director and new CWG member. Campaign workers for Dan Haberman, Democratic candidate for MI-11, became the first campaign in Michigan to ratify a collective bargaining agreement with the Campaign Workers Guild! Campaign workers for Brian Flynn, Democratic candidate for NY-19, is the first campaign in New York to ratify a CWG contract. Political Director and CWG member Leslie Berliant put it best when she said “I am proud to work for a campaign that not only talks about valuing workers, but also puts those values to work." Campaign workers for Andy Thorburn, a candidate running for Congress in California's 39th district, unanimously ratified their contract, and became the first Californian campaign to unionize. "...There is no better way to support working people than joining a union,” said Brian Wivell, Field Director and new member of the CWG. 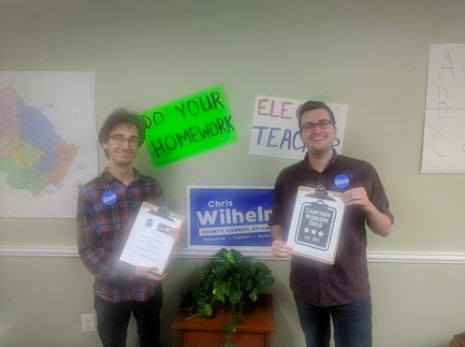 Chris Wilhelm is running for Montgomery County Council in Maryland. In a decisive victory for the CWG movement, campaign workers for the Jess King for U.S. Congress (PA-11) campaign unanimously ratified their CWG collective bargaining agreement. In December 2017, campaign workers on the Randy Bryce for U.S. Congress (WI-01) campaign became the first bargaining unit to join CWG and ratify the first ever CWG collective bargaining agreement for campaign workers.